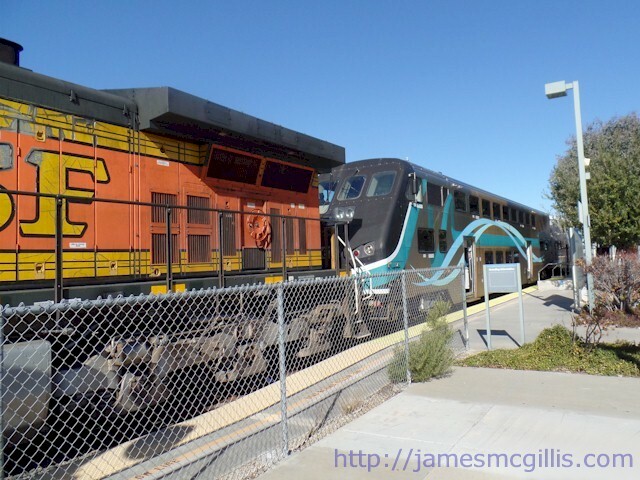 On October 1, 2015, I wrote about Southern California regional rail passenger carrier Metrolink’s decision to lease forty Burlington Northern Santa Fe (BNSF) freight locomotives. In September 2015, the National Transportation Safety Board (NTSB) had notified Metrolink that serious safety deficiencies existed on their Hyundai-Rotem cabcars. 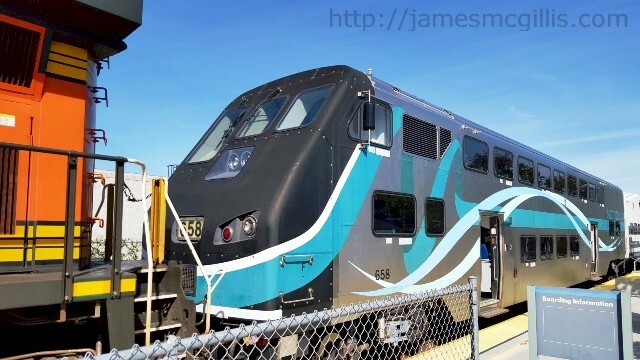 The deficiencies involved the February 24, 2015 Oxnard Metrolink collision that injured scores of passengers and took the life of Metrolink Senior Engineer Glenn Steele. 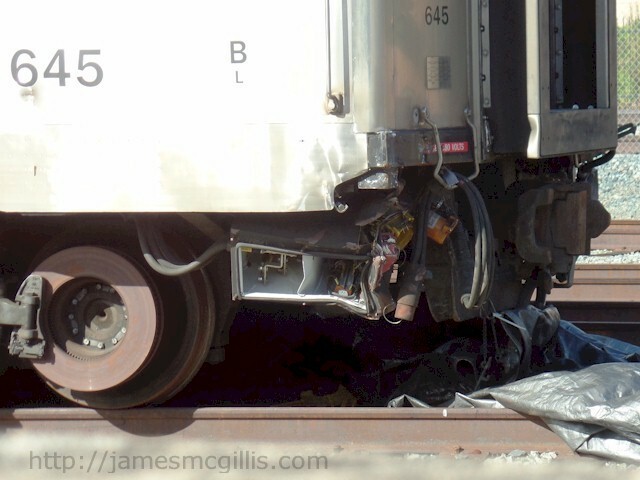 In Oxnard, the “pilot”, a blade that rides just above track level at the front of each cabcar, had failed in a collision with the work truck. As the Metrolink cabcar swept over the truck, the pilot detached and disappeared into the wreckage. Speculation was strong that the detached pilot had contributed to the derailment of the cabcar and the several coaches riding behind it. Information from NTSB to Metrolink and then via Dan Weikel of the L.A. Times to the public pointed to structural failure. The steel in both the pilot and its support struts was too porous to withstand the load of the Oxnard collision. In addition, welds between the struts and the pilot showed gaps or porosity that weakened the entire assembly. Confronted with an obvious public safety hazard, Metrolink made a snap decision to place a locomotive at each end of every train set. On December 31, 2015, I rode on one of the first “double-ender” Metrolink trains traveling from Chatsworth to Los Angeles Union Station (LAUS). It was quite a sight to see a 420,000 lb. BNSF locomotive pulling a five-coach train back toward LAUS. The conductor on the train told me that both the BNSF locomotive and the Metrolink locomotive at the other end provided motive power while operating in either direction. The sole purpose of adding the BNSF locomotives was to assure that any motor vehicle encountered on the tracks would be obliterated. Still unclear was how the braking systems on a double-ender would perform while stopping a 440-ton train. I reflected my concern by titling my October 1, 2015 article, “Metrolink Plans for Live Brake-Tests of BNSF ‘Heavy Iron’ Train-Sets on Commuter Tracks”. At the Chatsworth Station on March 15, 2016, I discovered the answer to my questions about “heavy iron” and braking safety. The answer is that Metrolink double-ender train sets appear to be unsafe. The newly configured Metrolink train sets are a hodgepodge of engines and coaches. 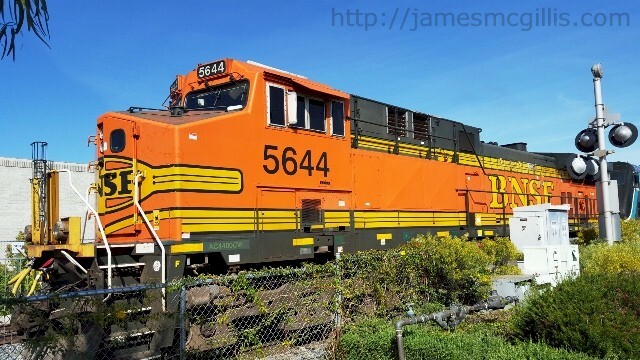 The BNSF freight locomotives are better suited to dynamic (engine) braking, rather than using their pneumatic braking system. Each train set also includes an ill-maintained Metrolink locomotive pushing from the rear. In normal “stop and go” usage between Metrolink stations, both locomotives rely on their pneumatic braking systems. In between the two locomotives are the heavy, steel-sheathed Hyundai-Rotem coaches and lighter monocoque aluminum Bombardier Bi-level coaches. 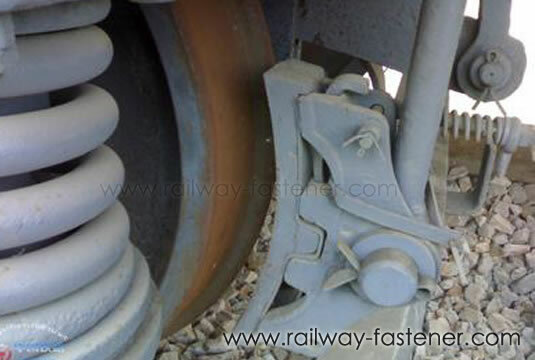 While both locomotives rely on pneumatic “brake blocks” similar to old-fashioned brake shoes, the Hyundai-Rotem coaches employ outboard disk brakes. Depending on their state of refurbishment, the Bombardier Bi-level coaches appear to utilize various combinations of disk brake and block brake systems. Each locomotive and coach in any train set connects to its mates with high-pressure air hoses. When the engineer applies the pneumatic brakes, every block or disk in the system activates, creating friction and heat, thus slowing the train. With such diversity in ages and types of braking systems, each wheel-truck may receive a different level of braking power, leading to different stress and patterns of wear. By Metrolink’s own admission, the agency does not conduct major preventative maintenance or periodic overhauls of its locomotive fleet. The agency prefers, instead, to run its locomotives until breakdown, and then conduct maintenance sufficient only to get a broken locomotive back in service. While allowing its current fleet of locomotives to self-destruct on the tracks, Metrolink is spending $338 Million in taxpayer money on new "Tier-4" locomotives. 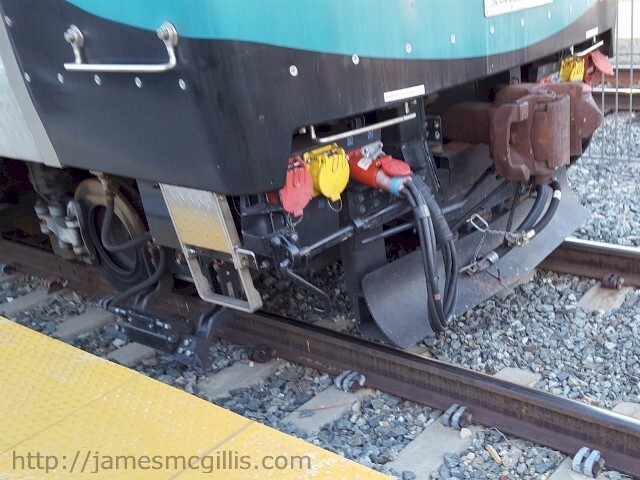 Metrolink may or may not conduct preventative maintenance on its locomotive braking systems. Since Metrolink does not publish information regarding maintenance of braking systems, no one knows. In addition to aging and mismatched locomotives, Bombardier Bi-level coaches, are included in virtually every Metrolink train set. With over one million miles of service each, wheels with flat spots are a common problem on the Bombardier Bi-level coaches. On those coaches, some wheel-trucks include retrofits to disk brakes while others appear to utilize the older brake-block systems. 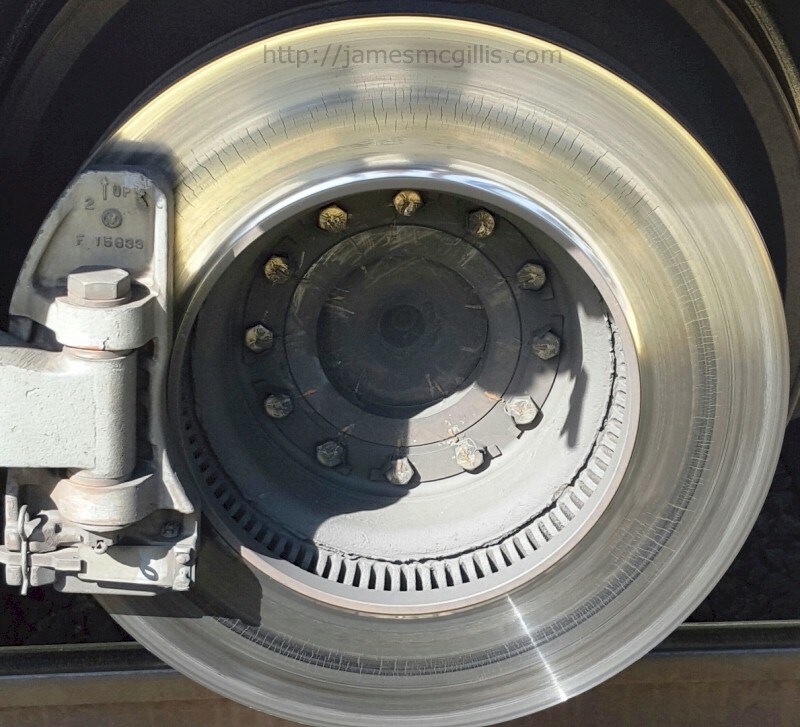 With so many mismatches and deficiencies elsewhere, the relatively small disk brakes on the newer Hyundai-Rotem coaches and cabcars absorb much of the total braking load. 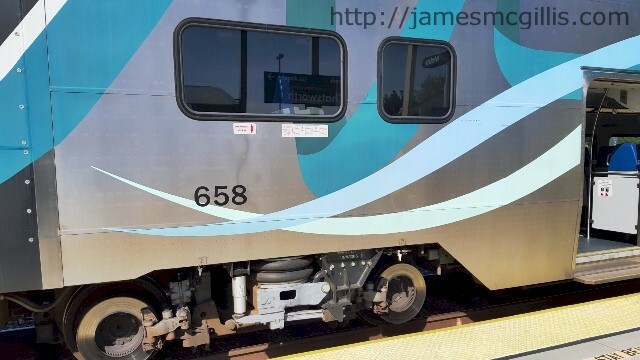 With all of the mismatched coaches and locomotives, the easiest way to detect brake wear on a Metrolink train is to inspect the Hyundai-Rotem brake rotors, which ride outboard of the wheels. While conducting a casual inspection of the Hyundai-Rotem brakes, I was shocked to see that every visible brake rotor displayed thermal-fatigue cracks (heat checking) radiating from the hub towards the outside edges of the rotors. I am not a metallurgical engineer, but I have driven many vehicles that include disk brakes. The Hyundai-Rotem disk brakes are larger and feature pneumatic actuation. Otherwise, automotive disk brakes are quite similar to the Hyundai-Rotem type. After an automotive brake inspection, no competent mechanic would allow me to drive away with extensive thermal damage evident on my rotors. With the heat-induced cracks that I recently discovered on Hyundai-Rotem brake rotors, why are those damaged safety components still rolling on Metrolink coaches today? 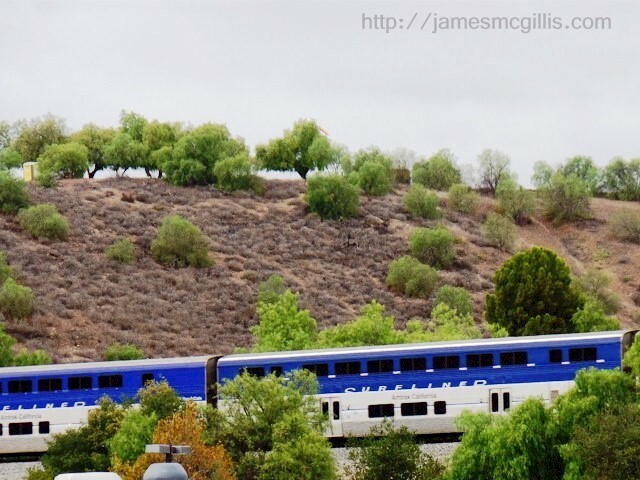 As Metrolink knows from the deadly Glendale (2005), Chatsworth (2008) and Oxnard (2015) collisions, greater attention to safety might prevent the next Metrolink rail disaster. In the predawn hours of February 24, 2015, Metrolink Train No. 102 struck a disabled Ford F-450 work truck and trailer at the Fifth St. and Rice Ave. grade crossing in Oxnard, California. Over thirty passengers were injured and Metrolink Senior Engineer Glenn Steele later died from his injuries. 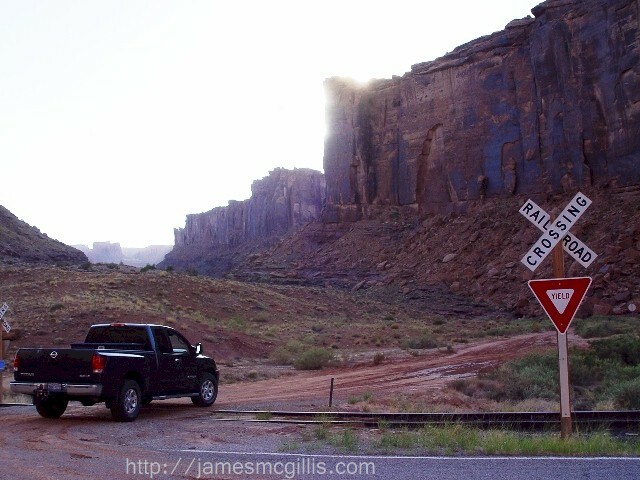 After a twenty-four hour driving odyssey from Tucson, Arizona to Oxnard, Mr. Jose Sanchez-Ramirez had made a wrong turn on to the Union Pacific Coast Line tracks. After high centering his rig eighty feet from the intersection, Sanchez-Ramirez had turned on his emergency flashers and left the scene. After the resulting fiery crash of the Metrolink train, police found Sanchez-Ramirez half a mile from the crash scene, in obvious distress. On February 22, 2016, The Ventura County District Attorney filed a misdemeanor charge of vehicular manslaughter against Jose Sanchez-Ramirez. Immediately, the Union Pacific Railroad, the California Public Utilities Commission (CPUC), Metrolink, the LOSSAN Rail Corridor Agency, Ventura County and the City of Oxnard all breathed a collective sigh of relief. With charges now filed against the truck driver, they were all “off the legal hook” for their collective negligence. Union Pacific Railroad owns the Coast Line tracks and is responsible for safety of its railroad infrastructure. The CPUC, in conjunction with Caltrans is responsible for rail safety at grade crossings such as Fifth Street, which is also State Highway 34. 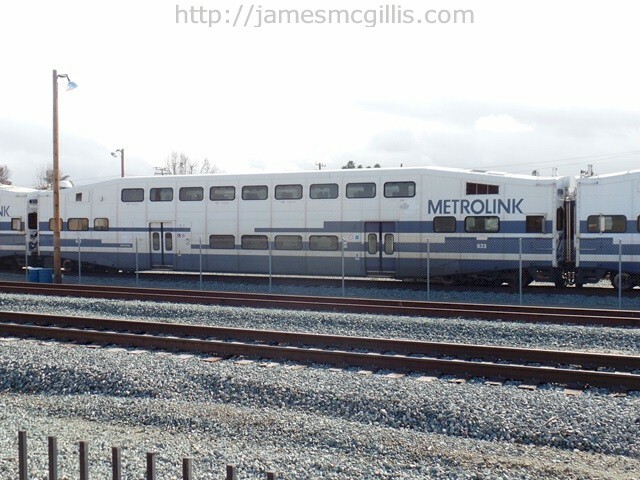 Metrolink, which operated Train No. 102, is responsible for maintaining its equipment in safe condition. LOSSAN is a joint powers agency responsible for the overall safety of the second busiest rail passenger corridor in the nation. 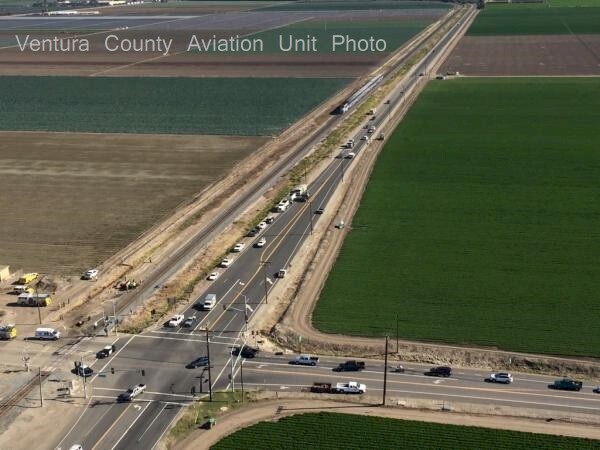 Ventura County and Oxnard are jointly responsible for maintenance of roadways that intersect with the rail corridor. For each of the above-mentioned public entities to have remained silent and immobile for the past year is unconscionable. Yet, they all have a perfect excuse. In the case of injury accidents on the nation’s rail lines, the National Transportation Safety Board (NTSB) becomes the lead investigative agency. On March 19, 2015, the NTSB issued a preliminary accident report regarding the Oxnard Metrolink collision. Since then, it has published no further findings. Until the NTSB issues its final report, the responsible companies, agencies and local governments continue to eschew responsibility for the accident. In fact, each of those entities shares part of the blame for the unsafe conditions or for the faulty equipment involved. Let us look at each entity and its involvement in the collision. Union Pacific Railroad – For an undetermined time prior to the collision, the Union Pacific Railroad had ignored a damaged steel pylon base that supported the Rice Ave. crossbuck. The crossbuck consists of overhead warning signs and flashing lights that activate when a train approaches. Loose wiring on the vehicle warning gates was visible after the crash. At the time, there were no reflective plastic safety pylons installed to warn motorists from turning on to the railroad tracks. The California Public Utilities Commission (CPUC) – Various CPUC accounts hold over $42 million in federal funding intended for rail crossing upgrades in California. 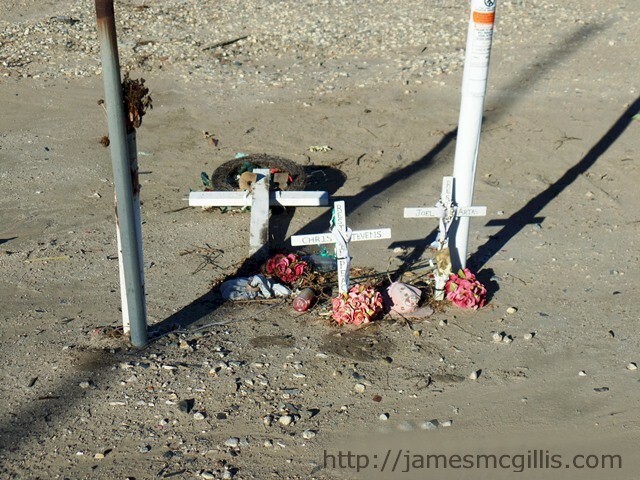 As of March 2015, the CPUC had allocated none of that money for repair of dangerous crossings such as Fifth & Rice. At the behest of Congresswoman Julia Brownley (D-26th District), the CPUC promised to investigate conditions at the Oxnard crash scene. 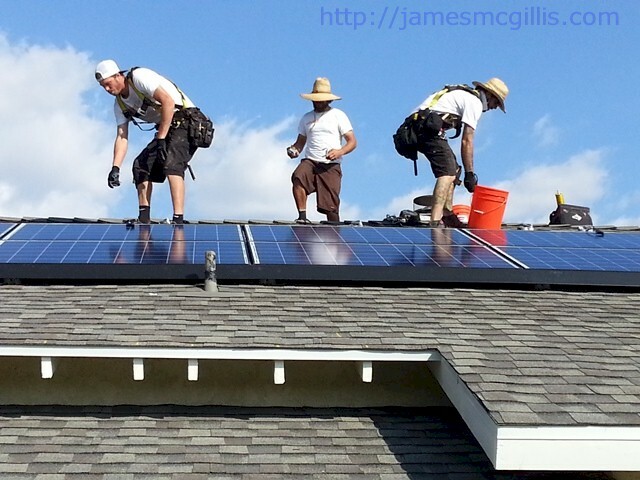 If the CPUC has indeed studied the issue, it has published no findings on the internet. 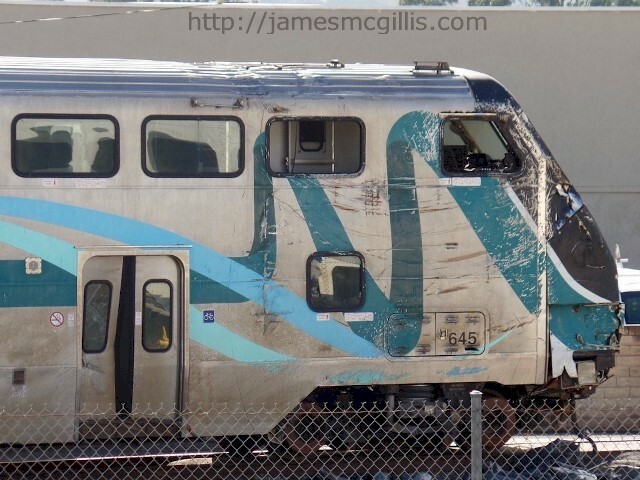 Metrolink – The Southern California passenger rail agency has denied responsibility for the Oxnard collision. Instead, they have deflected legal responsibility while pointing to Jose Sanchez-Ramirez and his employer as the responsible parties. For their injuries on Train No. 102, Metrolink has offered passengers no compensation at all. 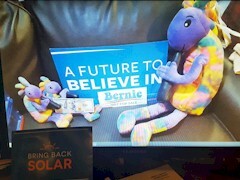 Instead, they offered a one-month free pass for travel on the Metrolink system. If any injured passenger had accepted such a "payment in kind", would Metrolink have later used that fact to absolve itself of contingent liability? I hate to say so, but I believe that they would. Late in 2015, the NTSB contacted Metrolink with urgent safety information. The NTSB had discovered an equipment failure on Metrolink’s Hyundai-Rotem Cabcar No. 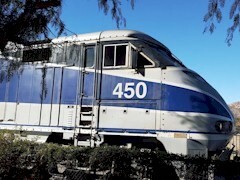 645, which was involved in the Oxnard collision. From the sketchy reports that came from Metrolink headquarters, we can deduce that the “pilot” on Cabcar No. 645 was deficient. 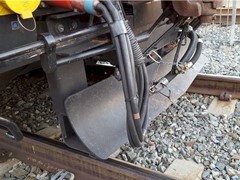 The pilot is a blade-like device designed to clear debris from the tracks, thus preventing derailment. Also called an “anti-climbing device”, the pilot on Cabcar No. 645 had detached during the collision with the F-450 work truck. 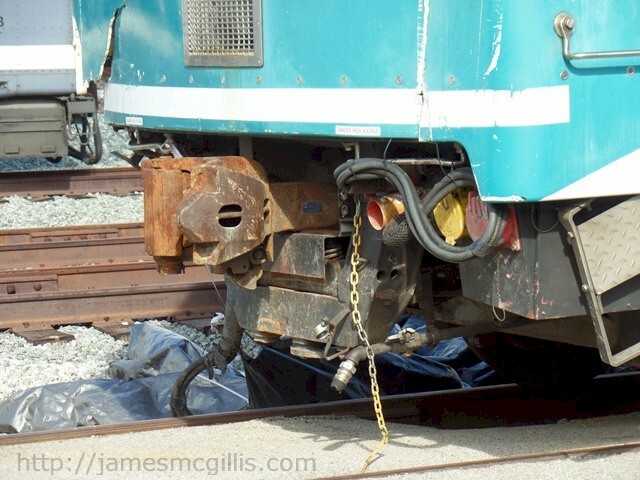 As it disappeared under the cabcar, the detached pilot may have contributed to the catastrophic derailment and decoupling of the cabcar and the second coach in Train No. 102. In response to the identified safety threat, Metrolink leased forty freight locomotives from Burlington Northern Santa Fe Railroad (BNSF). Starting in late 2015, Metrolink began phasing in the use of BNSF locomotives on all of its routes. 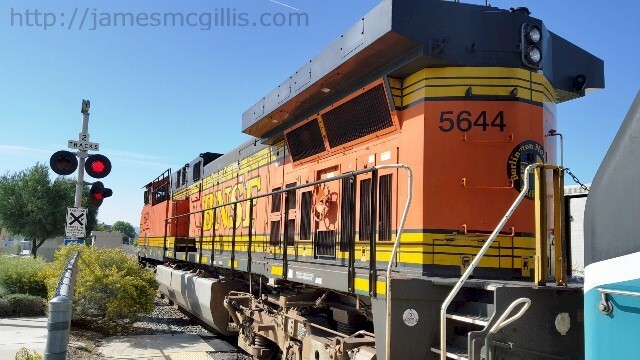 On outbound trips, a BNSF locomotive trails each train like a caboose. After reaching the end of the line, the BNSF locomotive then heads-up each Metrolink train on its return trip to Los Angeles Union Station. Using this “heavy iron” approach, a BNSF freight locomotive should be able to lift any stalled vehicle or debris off the tracks, thus preventing future derailments. 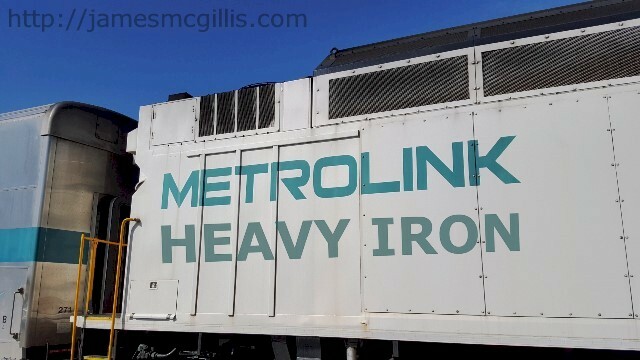 By its own admission, Metrolink no longer maintains its aging fleet of diesel locomotives. 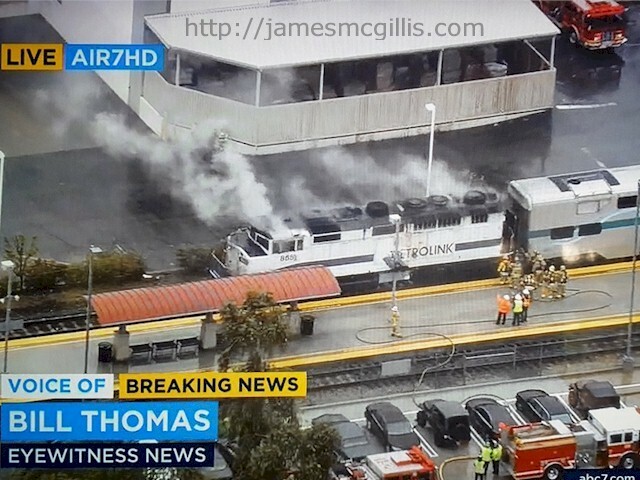 On March 11, 2016, a twenty-four year old Metrolink locomotive caught fire in Pomona, California. With the severity of the damage, it is likely that Metrolink locomotive No. 865 will never go back into service. In an ill-conceived and unsafe plan to save money, Metrolink runs its locomotives until they fail and then repairs them only as necessary to put them back into service. The recent fire in Pomona calls into question the safety and reliability of the entire Metrolink fleet. If Metrolink no longer performs routine maintenance on its locomotives, do they still test, maintain and repair defective braking systems? 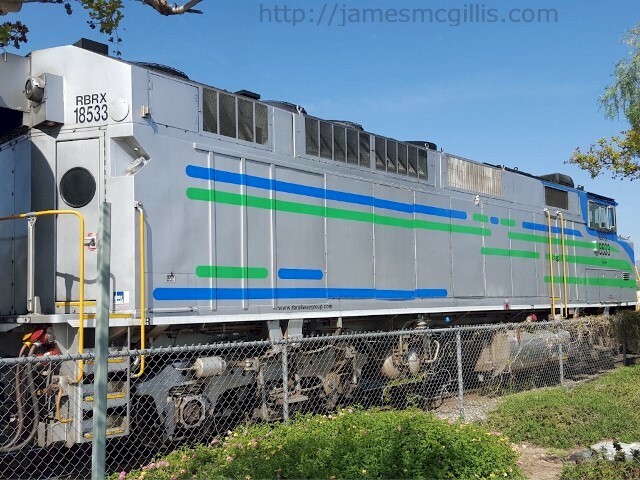 Even after the derailment and decoupling of the cabcar and the second coach in Oxnard, inadequate breaking systems allowed Locomotive No. 870 to push the entirety of Train No. 102 well past the Rice Ave. grade crossing. Finally, there is a question regarding the second coach in Train No. 102. It was a Bombardier Bi-level Coach with one million miles of service. In its final report regarding the 2005 Glendale Metrolink collision, the NTSB formally warned Metrolink. It said that the “fixed worktables” in Metrolink Bombardier Bi-level Coaches had contributed to injuries and possible deaths in that incident. After the 2008 Chatsworth Metrolink collision, the final NTSB accident report described death and near dismemberment when passenger torsos impinged upon similar fixed worktables. Metrolink has since refurbished most of the aging Bombardier coaches in its fleet. Part of that process involves the installation of new fixed worktables, which have a thicker cross-section. Still, passenger at least maintains that derailed Coach No. 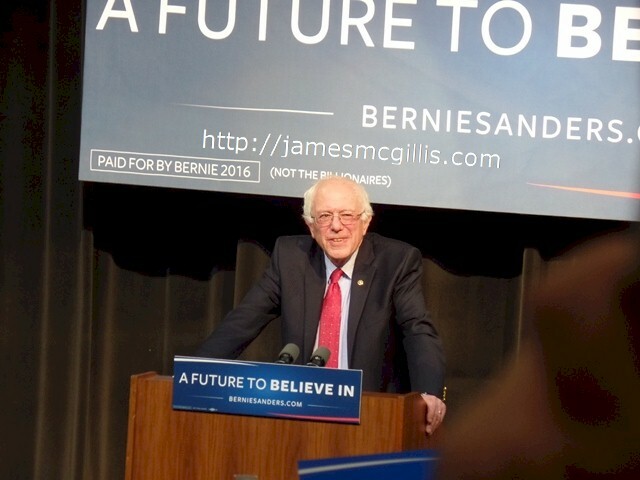 206, in which he was injured, had not been upgraded before the February 24, 2015 Oxnard Metrolink collision. That coach, along with the rest of Train No. 102 sits rusting in a Metrolink yard at Moorpark, California. Was the passenger injured by an unsafe, “killer worktable” of the type identified to Metrolink ten years prior? With a quick inspection, the passenger's assertion should be easy to prove or disprove. By deploying BNSF freight locomotives weighing 460,000 lb., a Metrolink five-car train set now weighs approximately 880,000 lb. As an unintended consequence of this added weight, the obsolete and ill-maintained Metrolink diesel locomotives are now breaking down at an ever-increasing rate. 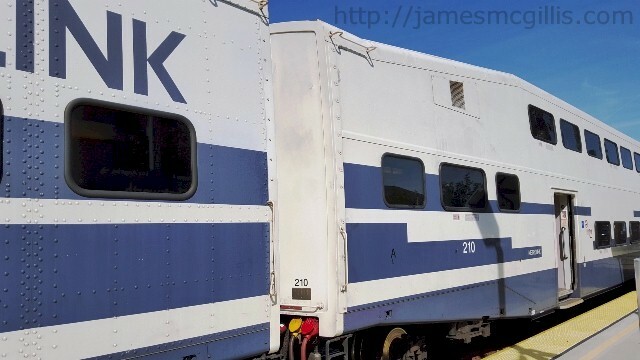 Recently, at the Chatsworth Station, I discovered that Metrolink has secretly replaced some of its own F59PH locomotives with similar equipment provided by R&B Leasing, Inc. (www.rbrailwaygroup.com). As my photos from that station show, Metrolink now has a BNSF locomotive at one end and an R&B locomotive at the other end of some trains. Sadly, Metrolink is becoming an outsourced passenger carrier that can no longer run trains with its own locomotives. 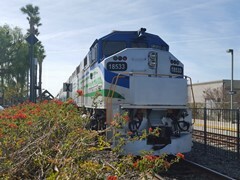 LOSSAN Rail Corridor Agency – Managing all passenger train activity on the Coast Line, from San Diego to San Luis Obispo, LOSSAN is a de facto arm of the Orange County Transportation Authority (OCTA). With collocation and co-management at its headquarters in Orange, California, the agency pays little attention to Ventura County and beyond. How often does any LOSSAN agency staffer travel on its rail network to visit Fifth & Rice in Oxnard? LOSSAN staff should make the arduous, time-consuming and oft delayed rail trip from Orange County to Ventura County. 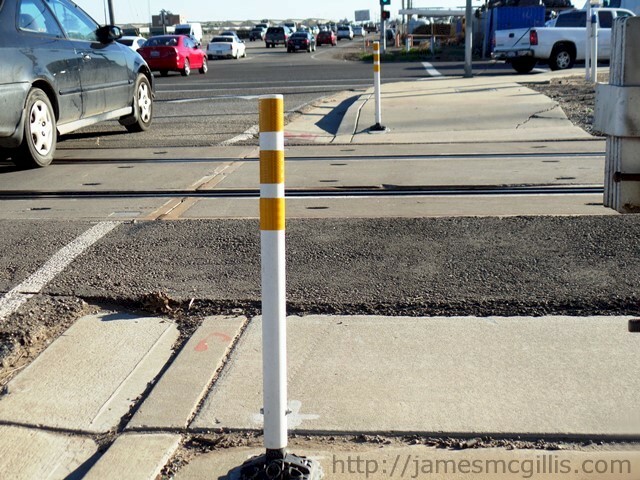 There, at the Fifth St. and Rice Ave. grade crossing they would discover gross deficiencies in safety management. Remember, it was there that Metrolink Senior Engineer Glenn Steele lost his life in February 2015. For LOSSAN staff, it is time to leave its headquarters and visit the “scene of the crime”. After the site visit, I suggest that LOSSAN make a public report about its findings. Ventura County and City of Oxnard – The saddest agency on the Southern California transportation map is the Ventura County Transportation Commission (VCTC). With no half-cent sales tax for transportation projects, the commission can do little more than wave its hands and hope for the best. 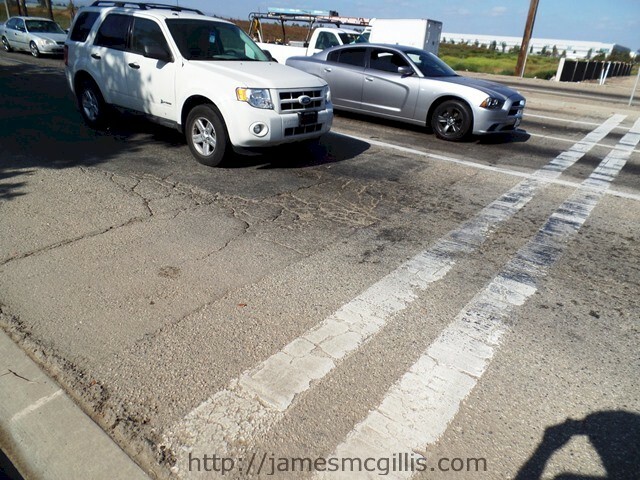 Before and after the 2015 Oxnard Metrolink collision, the agency called for action regarding safety improvements at the Fifth St. and Rice Ave. grade crossing. They informed us that it was a serial disaster, with death and dismemberment possible at any moment. 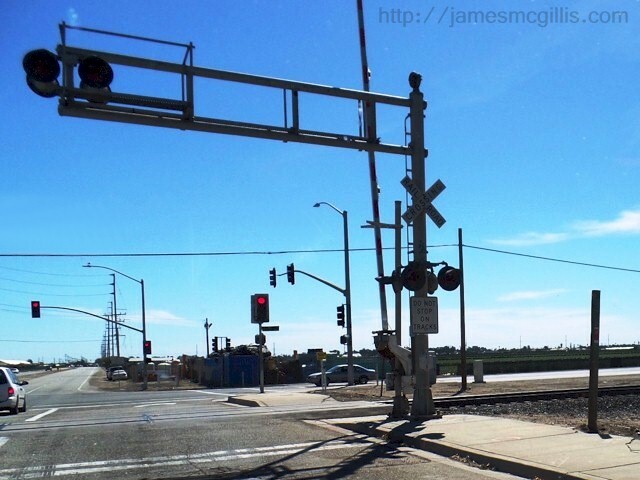 What did the City of Oxnard and the County of San Buena Ventura do to mitigate safety issues at that grade crossing during the past year? 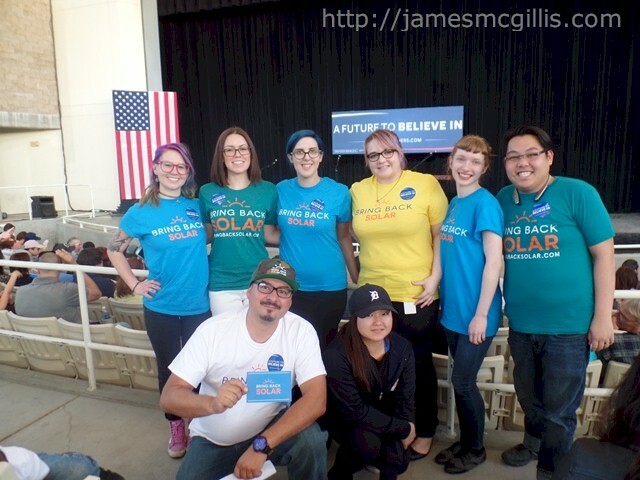 You guessed it… nothing but verbiage. The tracks in question are in Oxnard, which is in Ventura County. They are part of the Union Pacific Railroad Coast Line. The LOSSAN Rail Corridor Agency manages passenger trains upon those tracks. On those same tracks, Metrolink Train No. 102 collided with Mr. Sanchez-Ramirez’s abandoned work truck. With the overlapping responsibilities of the companies and agencies listed above, it is impossible to know which entity did what and when. Among them all, here is what has happened in the past year to fix the problems existing at Fifth & Rice. Unknown parties have replaced a concrete and wrought iron safety wall, previously destroyed by Metrolink Cabcar No. 645. The loose and ragged wiring on the grade crossing gates is no longer visible to the casual observer. Union Pacific, we assume, replaced the southbound Rice Ave. crossbuck with all new equipment, including LED warning lights and gate-arm flashers. 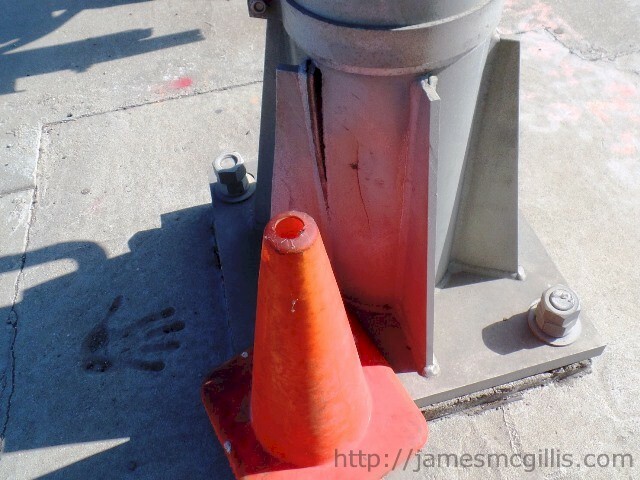 Unknown parties have affixed two (count them, two) plastic safety pylons at the scene. Like two small candles in the night they stand, one on either side of the railroad tracks where Jose Sanchez-Ramirez made his erroneous and deadly turn. 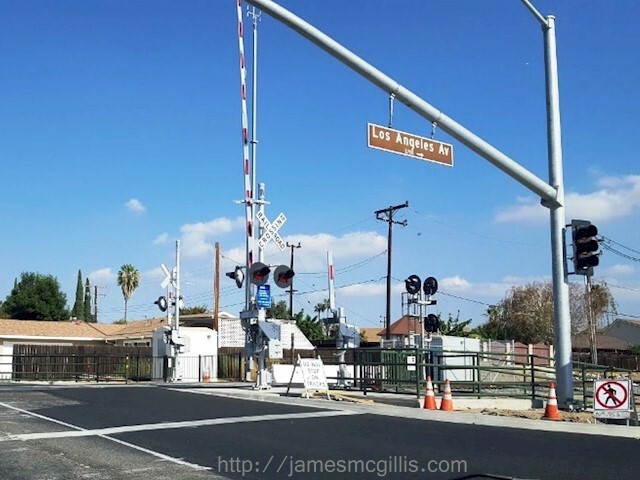 To her credit, Congresswoman Julia Brownley (D-Westlake Village) recently announced that $1.5 million in federal funds has been secured to create a preliminary design for the proposed Rice Avenue railway-highway grade crossing improvement project. Occasionally, I visit the makeshift memorials for those who have lost their lives at Fifth & Rice in Oxnard, California. It is a place of personal disaster for many people over many years. Sometimes I feel that I am the only interested person who goes there to observe. 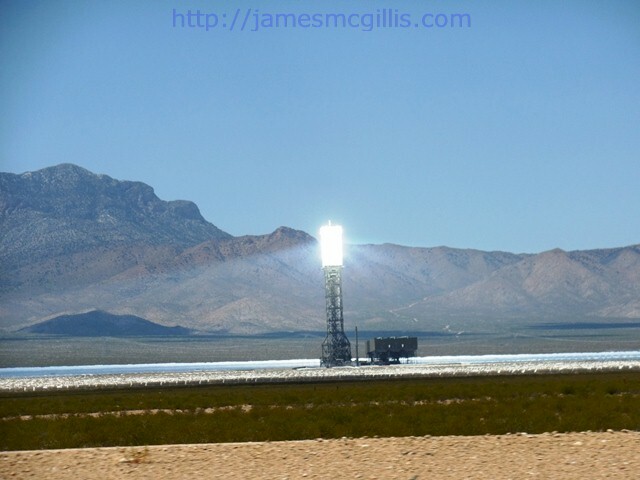 If the staff of the legal entities responsible for the problem would jointly visit the site, what might happen? If they did, I know that they and their employers would be shamed into action. Southern California is famous for its disastrous floods, wildfires and earthquakes. 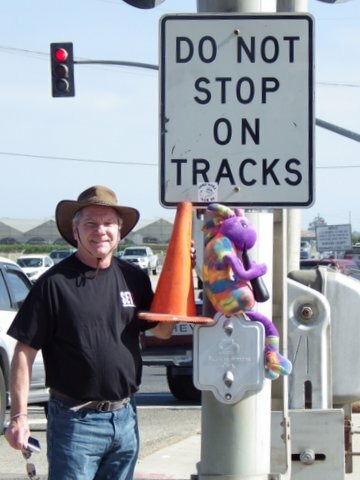 In the past fifteen years, all of those natural disasters combined have taken fewer lives than the grade crossing at Fifth St. and Rice Ave. in Oxnard. Union Pacific Railroad, California PUC, Caltrans, LOSSAN, Metrolink, City of Oxnard and Ventura County, it is well past time to act. On February 23, 2015, a Metrolink passenger train struck a Ford F-450 work truck and trailer at the intersection of Fifth St. and Rice Ave. near Oxnard, California. Scores of passengers were injured and one week later, Senior Engineer Glenn Steele succumbed to his injuries. Dismayed by the number of recent rail collisions at that site, I researched and wrote about that grade crossing and its many safety deficiencies. 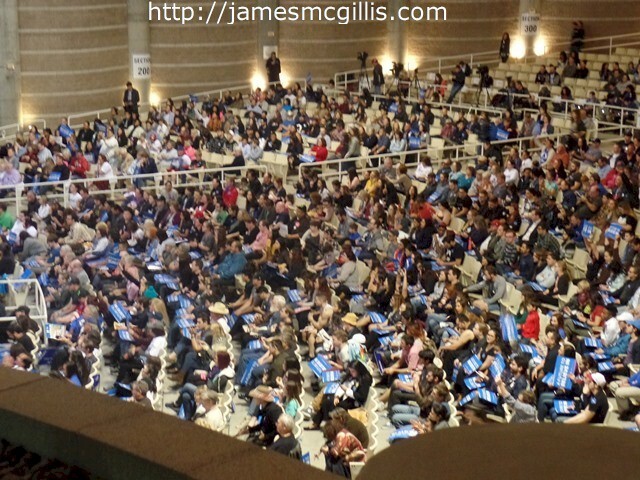 Later, I created a website that featured both problems and solutions for that troubled location at www.5thandrice.com. 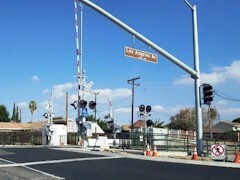 U.S. Representative Julia Brownley (D-Agoura Hills) has taken a special interest in the 5th & Rice Grade crossing. 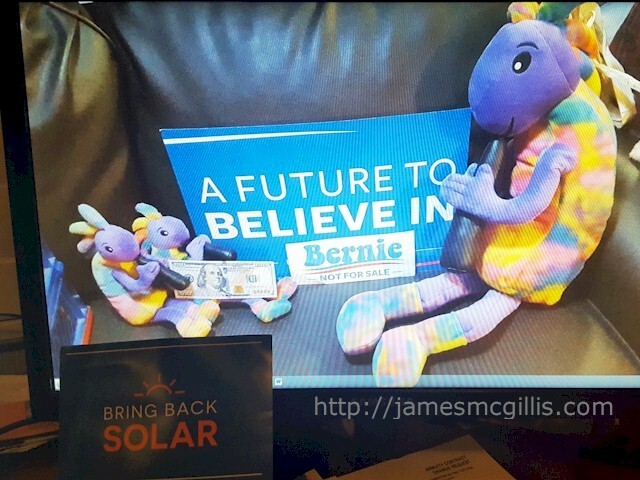 Recently, through her staff, she contacted Mr. Marc Gerstel, a person injured in the February 2015 collision. Brownley’s office told Gerstel that the California Public Utilities Commission (CPUC) would soon visit the site and conduct a safety evaluation at the Fifth and Rice grade crossing. If so, that would be the first substantive action taken by any public agency or corporation involved with the operation and safety of that deadly grade crossing. 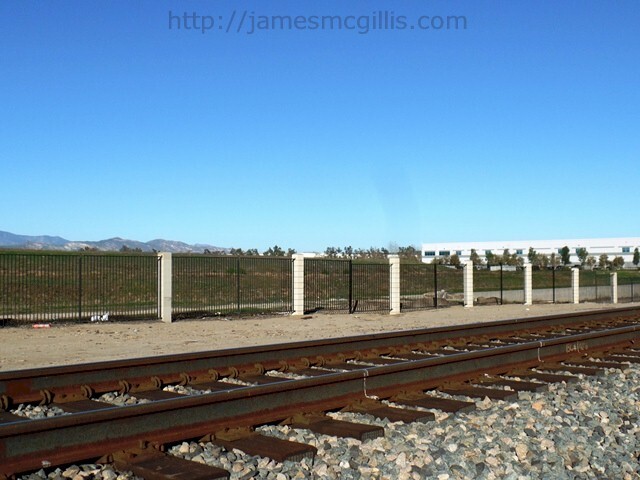 The Fifth and Rice grade crossing in Oxnard is both the busiest and the most hazardous commercial rail crossing in Ventura County. In the past decade, it has produced more rail related deaths and injuries than any other crossing in the county. 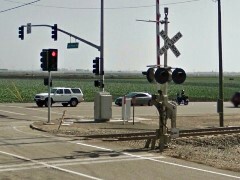 Even so, two grade crossings in nearby Camarillo now vie for the title of “deadliest rail crossing in Ventura County”. 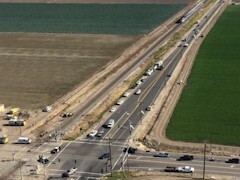 At 5:50 AM on August 24, 2012, between Pleasant Valley Road and Las Posas Road, a Metrolink passenger train bound for Los Angeles struck a semi-truck and trailer that had slowed to make a turn into a nearby farm field. In that collision, both the truck driver and his passenger sustained non-fatal injuries. 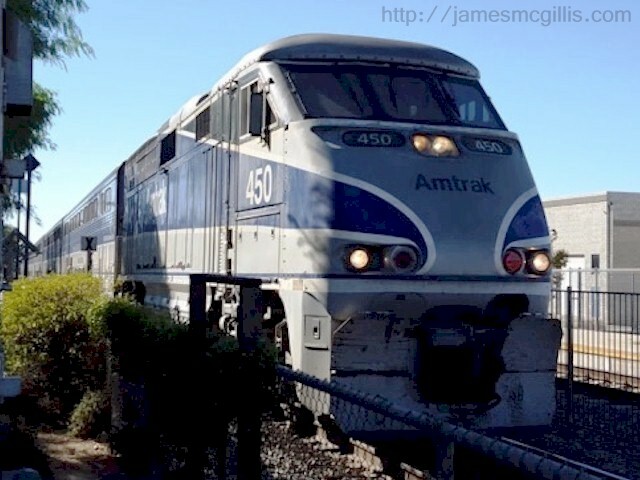 On December 30, 2013 at 10:49 AM, as an Amtrak train was passing by, a car entered the grade crossing at Fifth Street and Las Posas Road. The resulting collision sent the car into the side of a railroad service truck, which was standing nearby. The driver of the first vehicle died at the scene and the railroad service worker received injuries resulting from the accident. On January 24, 2014 at 10:30 AM, crews responded to a train collision at Fifth Street and Las Posas Road in Camarillo. At that grade crossing, a seventy-seven year old woman drove her minivan into the side of a passing Amtrak train. The driver, identified as Misty Jill Wood succumbed to her injuries at the scene. A Union Pacific Railroad worker in a nearby truck received moderate injuries. There were no injuries among the passengers on the northbound Amtrak Pacific Surfliner train. 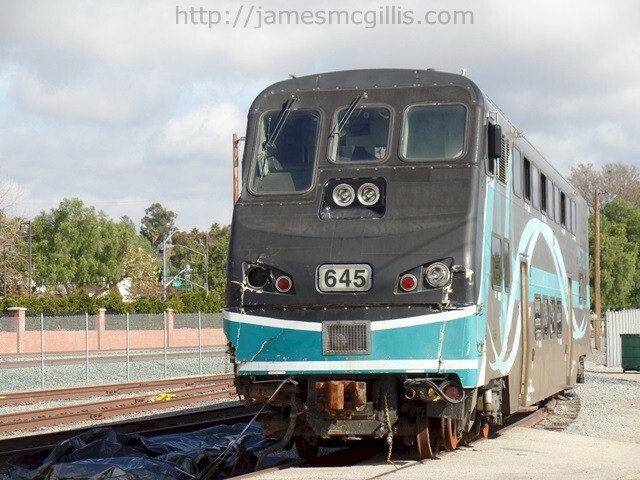 On the evening of March 1, 2015, less than two weeks after the Oxnard Metrolink collision, a passenger vehicle stopped on the tracks at Fifth Street and Pleasant Valley Road in Camarillo. Moments after the two occupants of the passenger car exited the vehicle; an Amtrak passenger train heading for Los Angeles struck and sent the mangled vehicle into a nearby ditch. No injuries resulted from the collision. 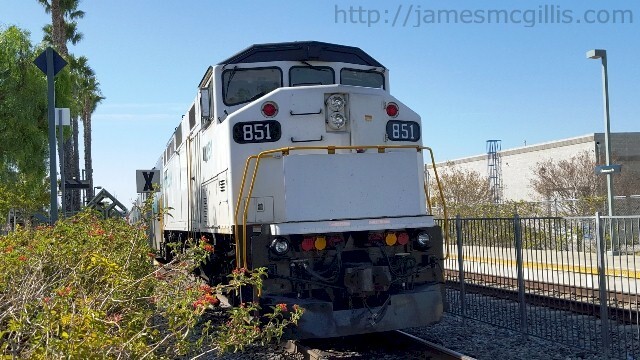 At 8:25 AM on April 23, 2015, less than two months after the Oxnard Metrolink collision, a Union Pacific freight train collided with a white Ford Explorer at the intersection of Fifth Street and Las Posas Road in Camarillo. Driver Timothy Newhouse, a fifty-seven year old man from Rialto, California drove through the crossing gate arm and into the side of the freight train. According to officers called to the scene, the vehicle rolled three or four times before coming to a rest in a nearby ditch. The driver succumbed to his injuries at the scene. There were no other injuries. 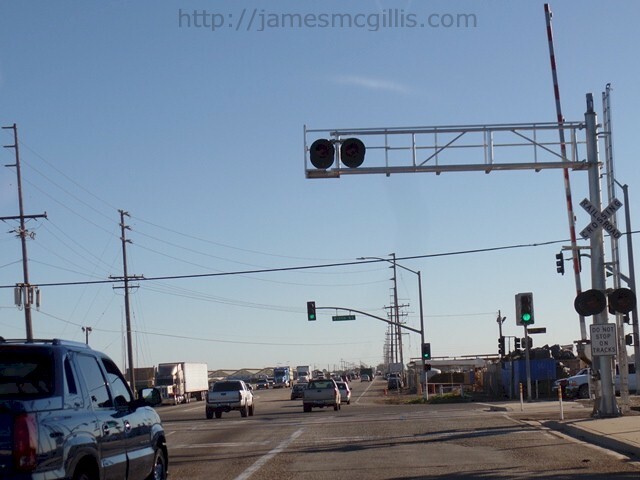 At 2:05 PM on September 21, 2015, a pedestrian stepped on to the tracks near Fifth Street and Pleasant Valley Road in Camarillo. Moments later, a moving Amtrak train struck and killed that pedestrian. The incident appeared to be a suicide, but detectives responded to investigate. There was little else reported about that deadly incident. 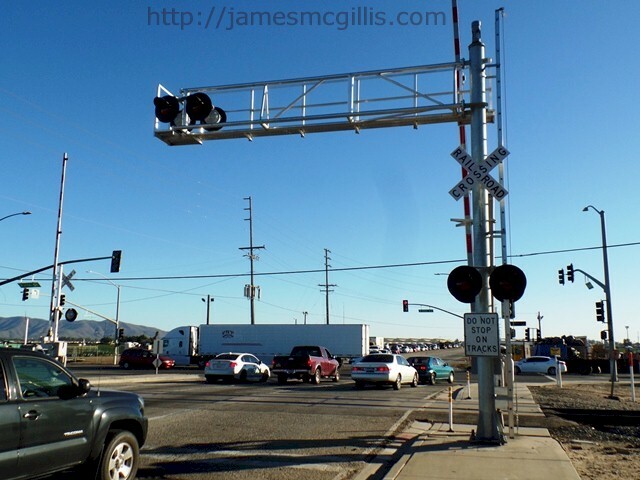 At 10:30 AM on November 21, 2015, the latest in a string of deadly train collisions occurred at the Fifth Street and Las Posas Road grade crossing in Camarillo. 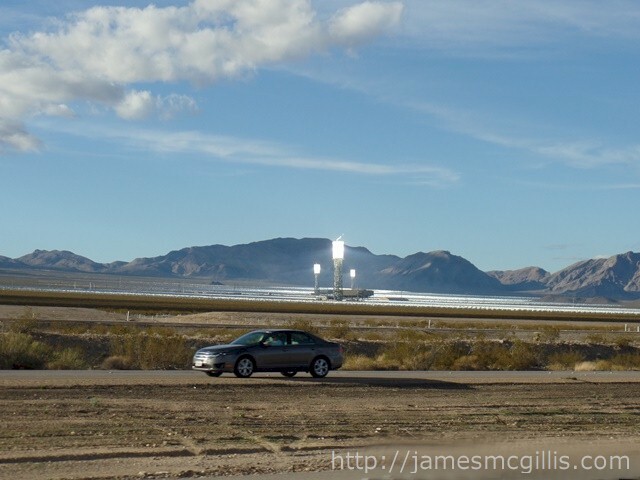 According to the California Highway Patrol, at the time of the collision, the crossing gate arm was down and the safety lights were flashing. 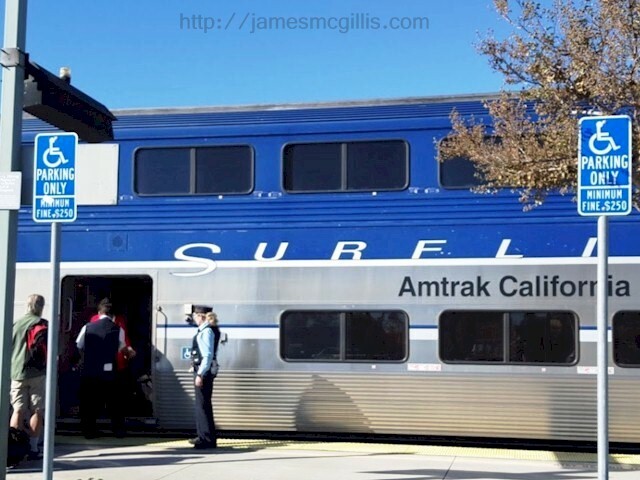 For unknown reasons, Mr. Brian Kuczynski, twenty-three, of Camarillo drove his car through the crossing gate and into the side of a moving Amtrak train. After Kuczynski's car hit the crossing arm and moving train, it travelled 171 feet and into a nearby ditch. Flown by helicopter to Los Robles Hospital & Medical Center in Thousand Oaks with major injuries Kuczynski later died. There were no other injuries. 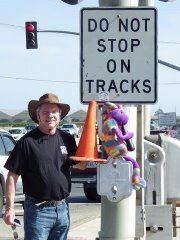 The infamous Fifth Street and Rice Avenue grade crossing in Oxnard still holds the record in Ventura County. In that regard, it is the worst of the worst throughout the Oxnard Plain. 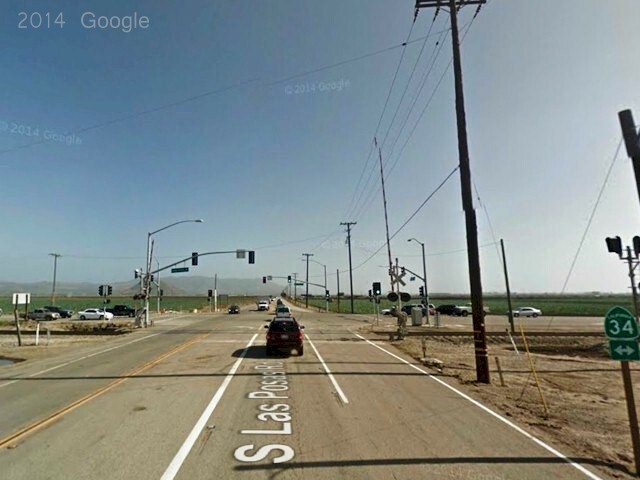 Still, in little more than the past three years, seven train collisions at either Pleasant Valley Road or Las Posas Road grade crossings resulted in five deaths and four injuries. If this pace continues, we can expect an average of two additional fatalities at the Las Posas and Pleasant Valley rail crossings each year. Assuming that only the pedestrian fatality at Pleasant Valley Road was a suicide, why have so many motorists collided with moving trains at those two crossings? It is easy enough to pass off these collisions to inattentive or distracted drivers. With mobile telephones, voice activated apps, GPS navigation systems and sound-deadening insulation in our vehicles; it is easy to become self-absorbed and inattentive to unexpected safety threats. When driving across the Oxnard Plain, verdant strawberry and vegetable fields, light traffic and hazy morning sunshine can lull a motorist into a false sense of security. The Federal Railroad Administration (FAR) sets the minimum standards for railroad grade crossings. The minimum requirements include a “crossbuck”, which is a large “X” shaped sign that reads “Railroad – Crossing”, at least two flashing red lights adjacent to the crossbuck and appropriate painted safety lines in the roadway. This configuration applies to both directions of travel. At the Fifth and Rice crossing, there is an additional red warning signal. It resides on a horizontal strut that extends from the crossbuck mast over one lane of southbound Rice Ave. traffic. Additionally, automatic gates descend to block the roadway whenever a train approaches. As such, all three of the grade crossings in question meet only the 1986 minimum federal standards for “active traffic control devices” at multi-lane grade crossings. Although revised in 2007, the bulk of the Federal Highway Administration’s “Railroad-Highway Grade Crossing Handbook” derives from the 1986 version of that document. In essence, “active traffic control devices” have changed little in the past thirty years. In the 1986 update, the Federal Highway Administration responded to rapid urbanization and concomitant increases in both vehicular and train traffic across the country. Until that time, passive warning systems were the norm. Beginning with the 1986 standards, there was an attempt to update warning light systems beyond the legacy systems still utilized in many rural and urban locations. Looking back at the history of warning lights, the first active warning system consisted of a railroad worker swinging a red lantern back and forth to warn motorists of an approaching train. Later railroad safety engineers introduced the “wig wag”, which featured a pendulum arm that contained a red warning light. As a train approached, the lighted wig wag signal swung back and forth. In doing so, the wig wag mimicked a railroad worker's lantern swinging at arm's length. departs the station at Orange Empire Railroad Museum. The major improvement in 1986 was to require two red warning lights that flashed in sequence. The timing of the flashes mimicked both a wig wag and the railroad lantern of old. Despite the advent of light emitting diodes (LEDs), most flashing light signals still utilize low wattage bulbs, varying from 16 to 36 watts. Even with reflectors behind the low wattage bulbs, a light within the dark red glass of the “roundel” can be difficult to see during daylight hours. Over eight percent of men experience color blindness in the red spectrum. That means that almost one man in twelve might see a flashing signal light, but not detect it as a red warning light. The automated safety gates found at “active traffic control grade crossings” create another area of concern. Designed to activate not more than three seconds after the safety warning lights begin to flash, the motorized gates take time to arrive at their “down position”. So long as the gates are down prior to the arrival of a moving train, they meet legal requirements. Regardless of a gate length of up to thirty-eight feet, only three red lights are required to meet federal standards. The red light at the tip of the gate arm burns steadily, while the other two flash alternately. 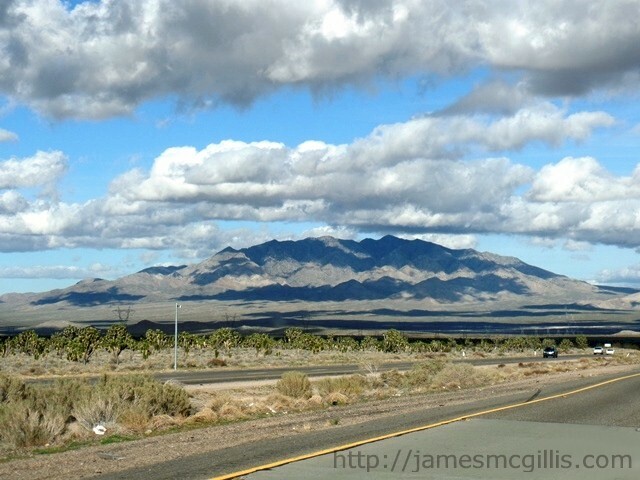 If we were to recreate a mid-morning scene of a typical Las Posas Road train collision, here is what the errant driver might see. Approaching the tracks from the north, the morning sun would be coming in the driver’s side window, possibly dazzling his or her eyes. 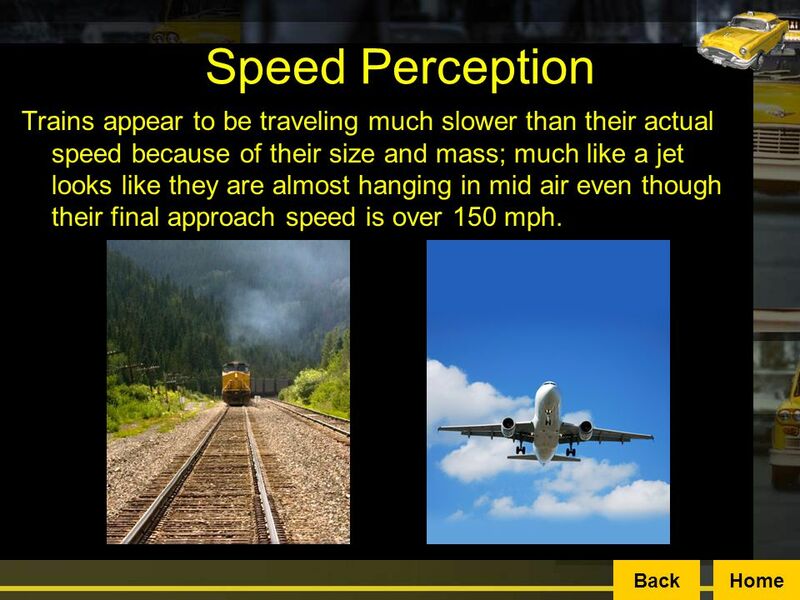 As the train approaches at full speed, it might appear as a dot on the horizon or not be visible at all. Whether distracted, speeding or fully attentive, the driver may or may not see the two low-wattage red warning lights flashing in their roundels. Likewise, the driver may not see the slender gate arm descend from vertical to its horizontal (closed) position. By the time the driver notices the flashing lights, the safety gate and the train, it may too late to avoid a catastrophic collision. Much has changed since enactment of the 1986 grade crossing standards. Our driving experience now includes cup holders, mobile telephones, integrated information and entertainment systems, and texting while driving. The result is a quantum leap in potential distractions available to drivers today. The attitude of many who comment on relevant websites is “drivers beware”. If you drive into the side of a moving train, it is probably your fault, they write. Your own death or dismemberment, they say, proves their point. In reality, the FRA minimum standard developed for grade crossings in 1986 are often insufficient to warn motorists of impending collisions with moving trains. With five of the recent train collisions at Las Posas Road and Fifth Street happening between 8:30 AM and 2:30 PM, further assessment of both natural light and traffic control signal lighting is in order. With Fifth Street creating a buffer for northbound vehicular traffic, almost all of the Las Posas Road train collisions involve southbound vehicular traffic. 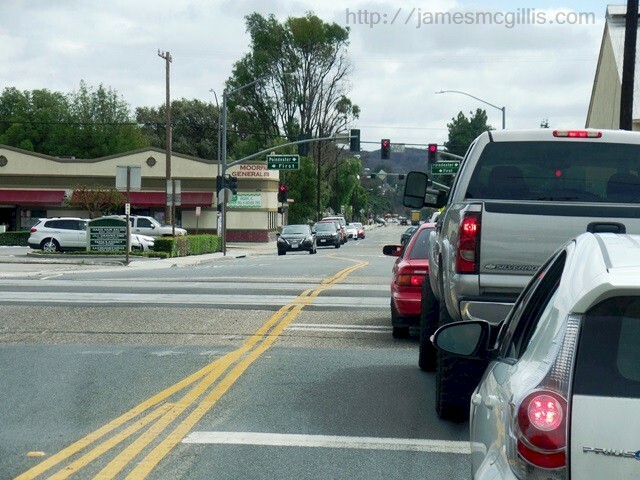 From morning until midafternoon, the sun may interfere with the driver’s ability to see the obsolete warning signals and other faded safety markings at Las Posas Rd., Pleasant Valley Rd. and Rice Ave. grade crossings. 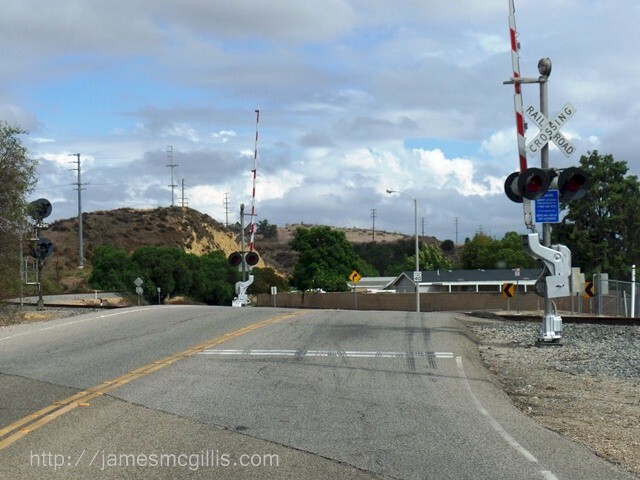 Perhaps the pending CPUC investigation of the Rice Avenue grade crossing will give impetus Sealed Corridor traffic safety features at the three most deadly railroad grade crossings in Ventura County. In the interest of safety for all who travel the Oxnard Plain in motor vehicles and passenger trains, I hope so.